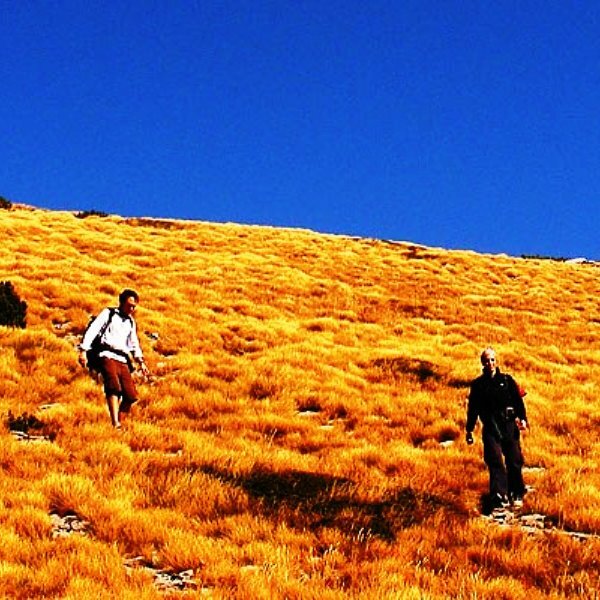 From Dubrovnik or its surroundings you will be transfered by van to Konavle region, one of the most spectacular and renowned areas of the region where your walk will begin. First, we will visit an old water mill that is a cultural monument from the time of the Repubic of Dubrovnik.Republic of Dubrovnik bought Konavle region at the begining of 15th century where they found 4 water mills at the River Ljuta. In the past people had no electricity , modern tools or machines, so they used the natural power of water to make everyday life easier. Today at the River Ljuta, there are: ten flour mills, three aquaducts and three olive oil mills. In the past times the mills were used by people from the neighbouring villages of Konavle and during the summer months. They would come on horses and donkeys, bringing wheat, corn, barley and rye to be processed in Ljuta and to bring back home the flour for human and animal consumption. The flour gained by the traditional method of production is of higher quality compared to the industrially produced flour of our modern times. After a presentation on the traditional way of flour production, we will grind our own flour in the 15th century old mill and load a donkey. After loading a donkey, we will start walking through an oasis of cypress trees, vineyards and olive groves, as well as vilages that still reflect the traditional culture of old Dubrovnik. Through beautiful and lively landscapes with views of the sea, the island Mljet and the Elaphiti islands we will meet the smells and tastes of beautiful Konavle. We will stop at the Brajković winery located on a hill surrounded by cypress and magnificent vineyards. At the winery, we will load up the donkey with wine and continue to walk to an old mill-restaurant. Our host will introduce us to his mill built in the 15-th century, as well as the traditional ways of olive oil production. After presentation, we will prepare the flour, which was carried by the donkey, and bake bread. After baking bread, we will roast bacon on a laurel stick on open fire which will then be served on organic tomatoes. Following brunch, we will return to Dubrovnik. During the entire tour we will get to know the history of Dubrovnik, the medieval Dubrovnik Republic, Konavle and today’s life in this region. During the trip we will also see a 1000 year old romanian aquaduct. The trip itinerary can change depending on the capabilities and wishes of the group, weather constraints, and similar situations. For the safety of our guests, we take the right to change the itinerary without prior notice. In case of extreme weather conditions Dubrovnik Adventures will re-schedule the activity for a day or two prior or after the date booked, if possible. If the change is not possible, the payments will be refunded in full.